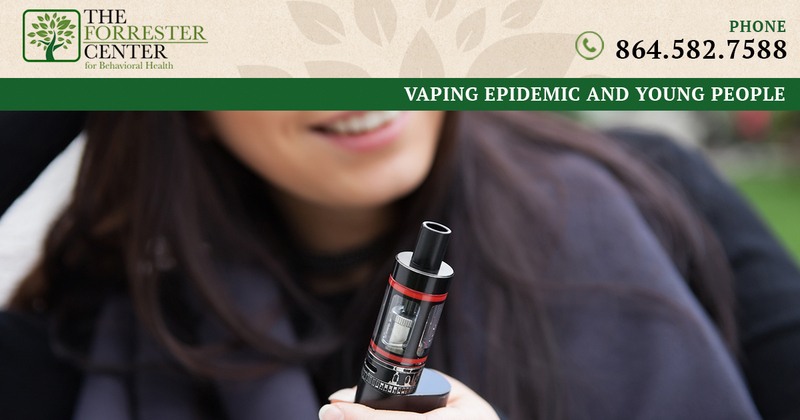 Teen vaping is becoming a very real problem, that many parents may be completely unaware of. Vaping has grown in popularity, while smoking has slowed amount young people. While it’s possible to “vape” without nicotine, many teens are illegally obtaining e-cigarettes that have nicotine, or even worse, marijuana. Vaping is the act of inhaling the aerosol, or vapor that is produced by an e-cigarette. Vaping devices include, but are not limited to e-cigarettes. Other devices that are used include vape pens as well as advanced personal vaporizers, which are sometimes referred to as ‘MODS’. Below are a few vaping statistics that should have you thinking twice about allowing your teen to experiment with e-cigarettes and other vaping paraphernalia. Teens are now much more likely to use e-cigarettes than cigarettes. While teens reported 66% of their e-cigarettes contained only flavoring, 13.2% contained nicotine and 5.8% contained marijuana, according to data from the CDC. Studies show that roughly 30% of e-cigarette users will start smoking within 6 months after they start vaping. Data also shows that boys are almost two times as likely to use e-cigarettes as opposed to girls. In 2015, 3+ million middle school and high school students used e-cigarettes. While many e-cigarettes contain nicotine, which is highly addictive, additional chemicals are used to make the vaping liquids taste like various foods or drinks. Harvard researchers actually found diacetyl, in most of the e-cigarettes and e-liquids that they tested. This is the same chemical that has been linked to a serious respiratory disease called bronchiolitis obliterans, or “popcorn lung”. This shows that even if your child is vaping with flavoring alone, they could still be exposing themselves to harmful chemicals. E-cigarettes have only been around for about a decade and in turn there hasn’t been sufficient time to study them. For this reason, researchers literally don’t know the long term effects of vaping, which should be extremely concerning for parents. Raising teenagers is difficult, but it’s critical that you have an open dialogue between yourself and your children, especially as they traverse the complex minefield known as middle school and high school. If you’re struggling with how to handle a your child’s drug problem, or you’re just looking for pointers on how to talk with your kids about drugs, feel free to reach out to our team at The Forrester Center today.